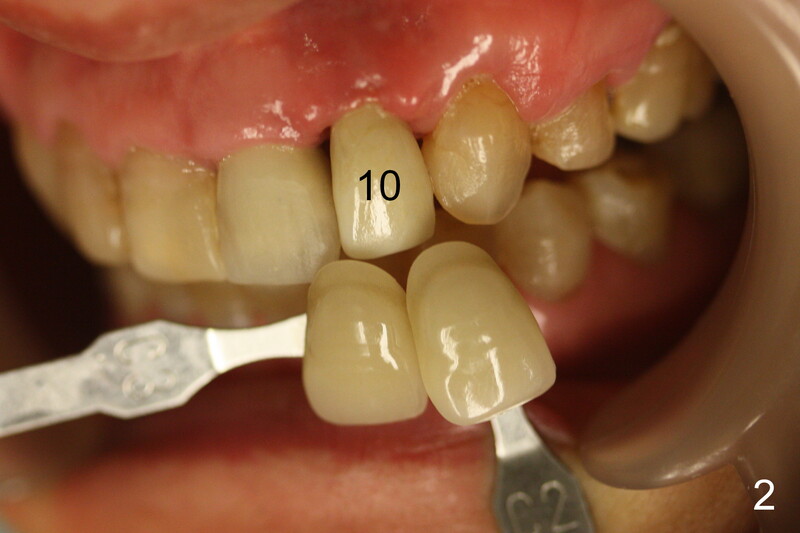 When the Lava crown at #10 is tried in, there are 2 areas of deficiency: shade (Fig.1,2) and embrasure (Fig.3-7). 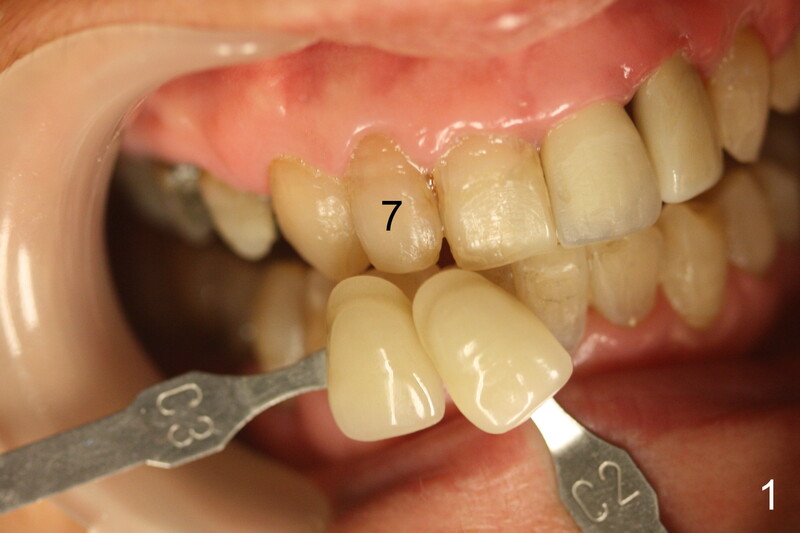 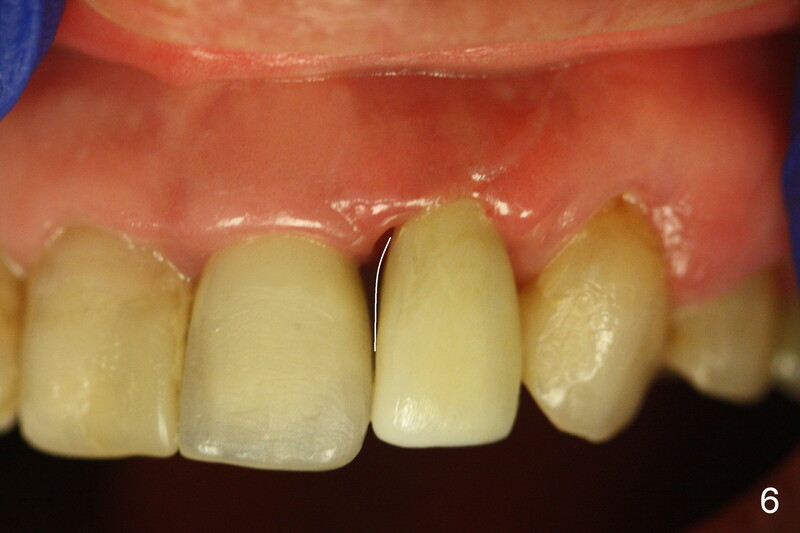 Please add a little porcelain to the mesial gingival region (Fig.6 white curved line, as compared to Fig.5). 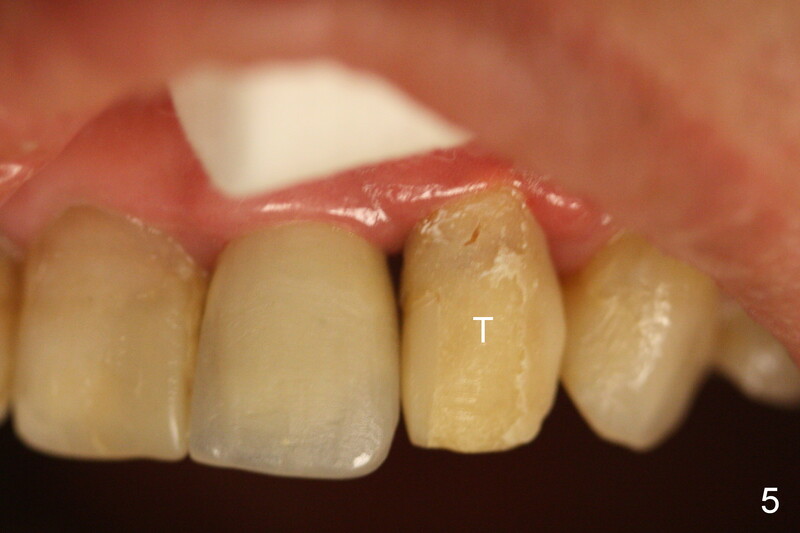 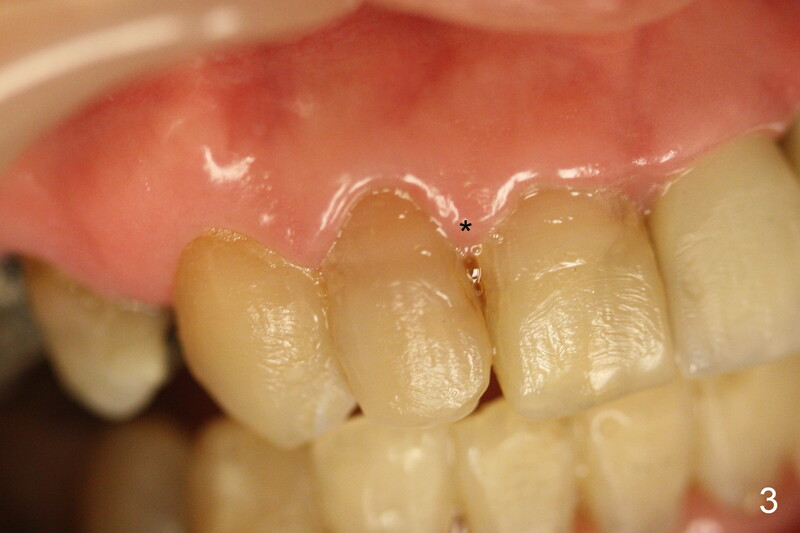 It would be the best to trim a little more in the mesial gingival area of the temporary crown before impression (Fig.7 white curved line) so that the gingiva would grow coronally (arrow) to reduce the black triangle (Fig.4 *).